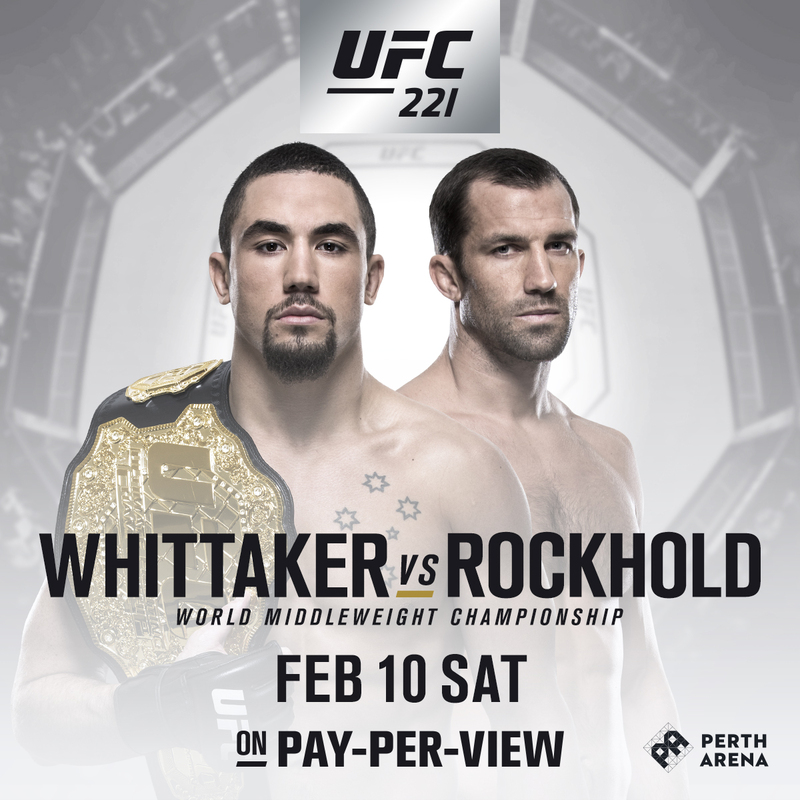 The undisputed UFC middleweight championship will be on the line in Australia on Feb. 10 (Feb. 11 local time), when Robert Whittaker defends his crown for the first time against former titleholder Luke Rockhold in the main event of UFC 221. UFC announced on Thursday that middleweight champion Georges St-Pierre is vacating his world title effective immediately. With this announcement, interim champion Whitaker has been elevated to undisputed champion, and subject to approval from the Combat Sports Commission in Western Australia, the five-round bout will be the first event in Western Australia and held at Perth Arena. Sydney's Whittaker first arrived on the UFC scene when he won The Ultimate Fighter Smashes at welterweight in 2012. Whittaker went on to win three Octagon bouts at 170 pounds before making the move to middleweight in 2014, and he has been unstoppable since, winning seven fights in a row, with four knockouts and six post-fight bonuses. In July, he parlayed his wins over Derek Brunson and "Jacare" Souza into a fight with Yoel Romero for the interim middleweight title and he won the gold with a unanimous decision victory. Now he will make his first walk as champion at home against Rockhold. One of the premier middleweights of this era, 33-year-old Luke Rockhold has held both the UFC and Strikeforce titles at 185 pounds, where he has defeated the best his division has to offer, including Chris Weidman, Michael Bisping, "Jacare" Souza, Tim Kennedy and Lyoto Machida. Fresh from a September stoppage of David Branch, the dynamic Californian looks to regain his crown when he travels Down Under to face Whittaker. Tickets for UFC 221, which airs live on Pay-Per-View, go on sale on December 15.